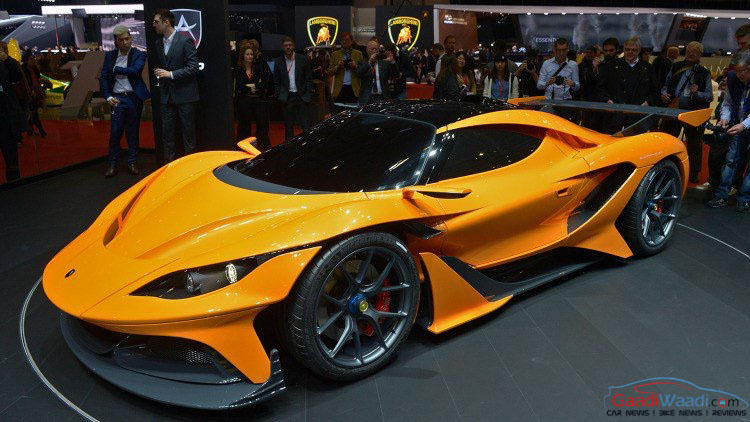 Only few would have heard of the supercar company called Gumpert Sportwagenmanufaktur GmbH and even fewer knew about the existence of the Apollo Sport. Back in 2009, it was one of the fastest road-going cars on the planet and it set a lap time of 7:11.57 to become the fastest road legal car ever at the Nurburgring Nordschleife, infamously known as Green Hell spanning 20.60 km long with over 150 turns to complete a full lap. Even in today’s standards, that lap time driven by Florian Gruber is still the seventh fastest at the Nurburgring. For all its extremity and of course the poor reliability, the German supercar company went bankrupt in 2012. But the Altenburg-based brand has returned and certainly made a statement at the 2016 Geneva Motor Show. Led by founder Roland Gumpert, former director of Audi Sport rallying campaign, and with the financial backing from a Hong Kong based investment firm called Consolidated Ideal TeamVenture, the resurrected brand has been renamed as Apollo. 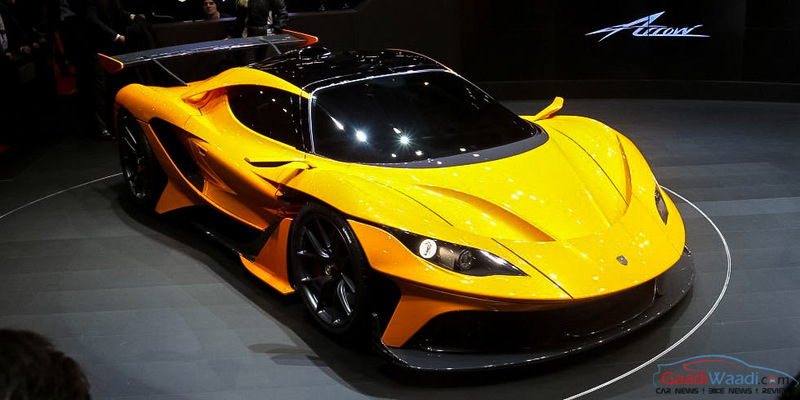 The latest model presented at the Swiss motoring exhibition was the ultimate mouth-drooling Arrow supercar. The mid-engined ground-hugger is powered by a 4.0-litre twin-turbo V8 tuned up to produce an astounding 986 horsepower and 737 pound-feet of torque (1000 Nm). The engine is linked with a seven-speed sequential transmission sending power to only the rear wheels. That’s bonkers when all the power gets deposited at the rear as the driver will forever be handful. To tame the ludicrous power output, Apollo has employed a combination of chrome and molybdenum material for the steel tube frame chassis design with a mixture of the ultra-strong carbon fibre and Kevlar used in the passenger cell for crash protection. The body is manufactured with a mix of aluminium and carbon fibre. Apollo targets a dry weight figure of less than 1,360 kg and the Arrow is believed to hit the 100 kmph mark from 0 in as low as 2.9 seconds. It is claimed to reach 250 kmph in just 8.8 seconds before getting to a top speed of 223 mph (360 kmph). 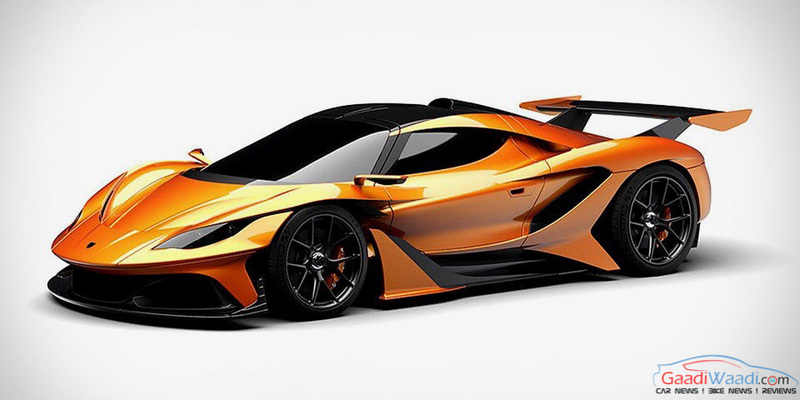 The supercar could enter production in the later parts of 2016 with the updated form of former Gumpert Apollo, the Apollo N, also set to be offered.